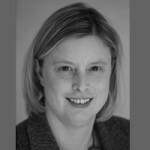 In a sterile, depersonalising remand environment designed to strip inmates of all individuality and ties to the familiar, the simple act of listening can be a profound connection to self. 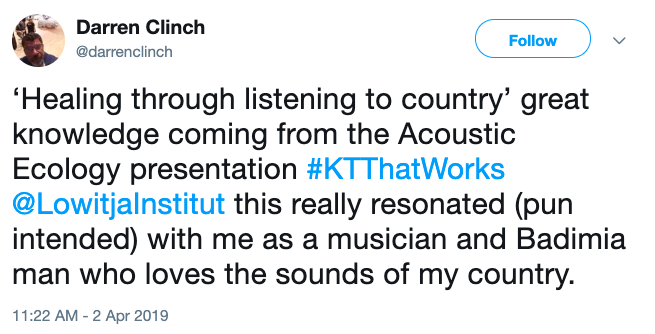 That was the message of a captivating presentation at the recent Lowitja Institute knowledge translation forum #KTthatWorks on a research project connecting incarcerated Aboriginal and Torres Strait Islander women to country through sound. 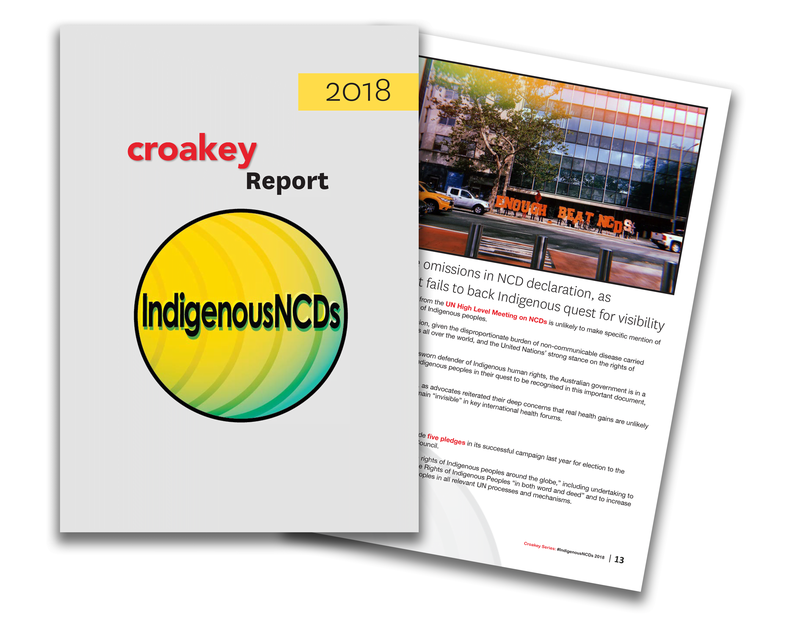 Journalist Marie McInerney was at the forum for the Croakey Conference News Service and reports on how Listening to Country is helping Indigenous prisoners to heal, and reconnect with home. This is the third and final article in our #KTthatWorks series. 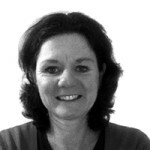 You can read Marie’s other stories from the Lowitja Institute’s knowledge translation forum here. The sounds of a prison are oppressive even for visitors, with duress alarms going off constantly, steel doors clanging shut, even the whoosh of a vacuum-powered toilet. 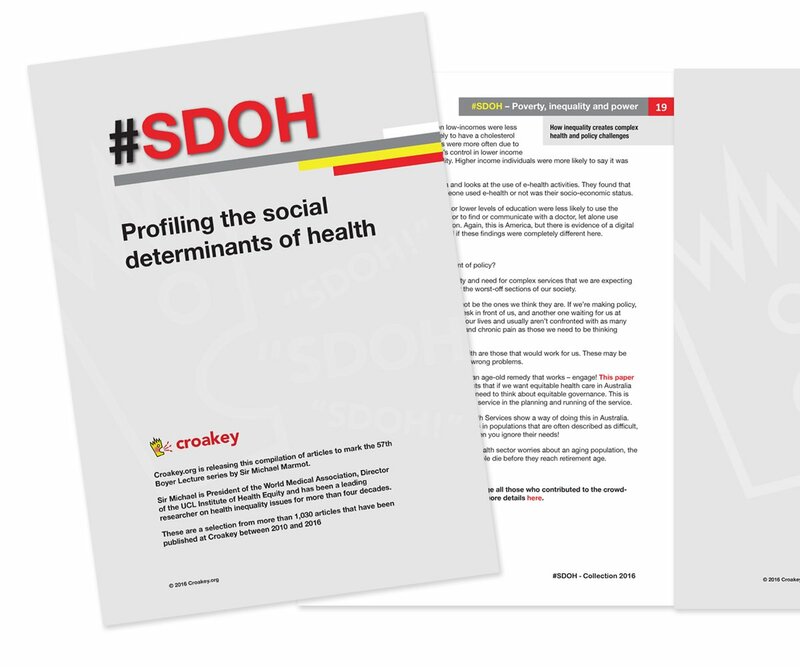 What must they be like for Aboriginal and Torres Strait Islander women who are locked up, often far away from family, community and country, and what do they mean for health and wellbeing? These questions are at the centre of an innovative research program by Aboriginal researchers Dr Vicki Saunders and Dr Bianca Beetson, presented at the recent Lowitja Institute #KTthatWorks knowledge translation forum in Melbourne. 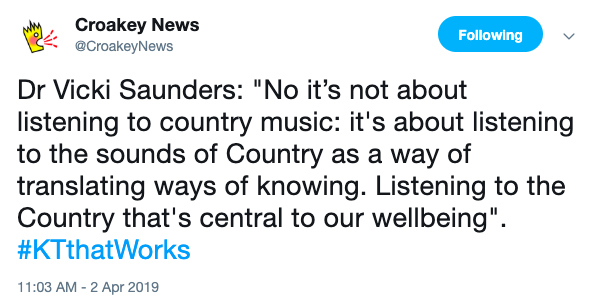 “The soundscape of a prison has to be felt to be understood,” Saunders told Croakey after presenting the work, which was undertaken earlier this year at the Brisbane Women’s Correctional Centre (BWCC). 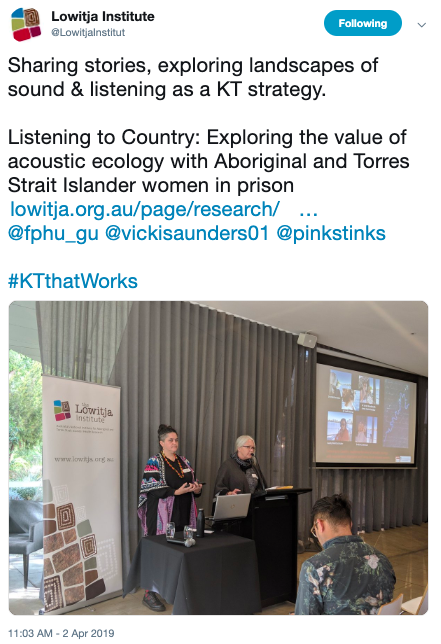 Saunders and Beetson are members of a multidisciplinary team conducting the research project Listening to Country: Exploring the value of acoustic ecology with Aboriginal and Torres Strait Islander women in prison. 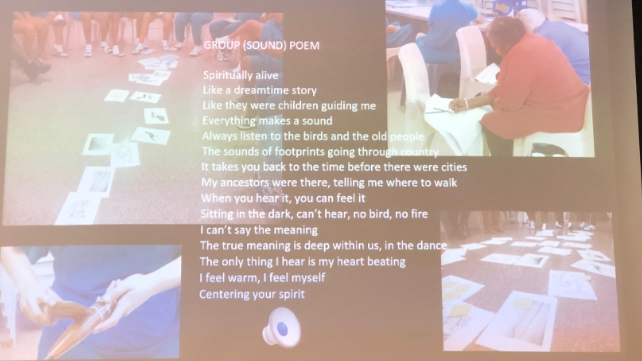 It was developed in response to a direct request from a group of Aboriginal women at BWCC, in south-western Brisbane, for an immersive audio work based on field recordings to reduce stress and connect them to natural environments and to country. 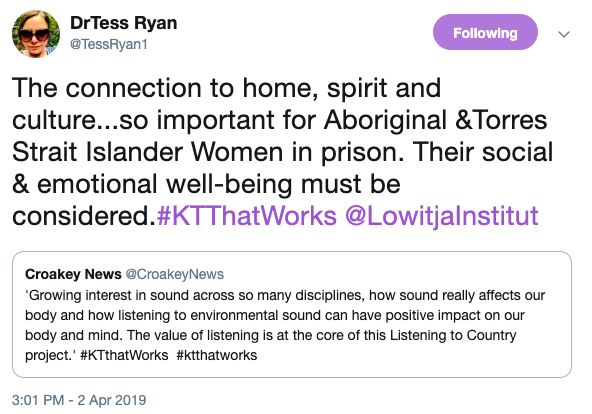 The project’s aim is to explore the value of acoustic ecology – the study of the relationship, mediated through sound, between human beings and their environment – in promoting cultural connection, maintenance and wellbeing among Aboriginal and Torres Strait Islander women in prison. “I think in this project we use sound as a form of asserting our cultural sovereignty,” Beetson told Croakey later in an interview. 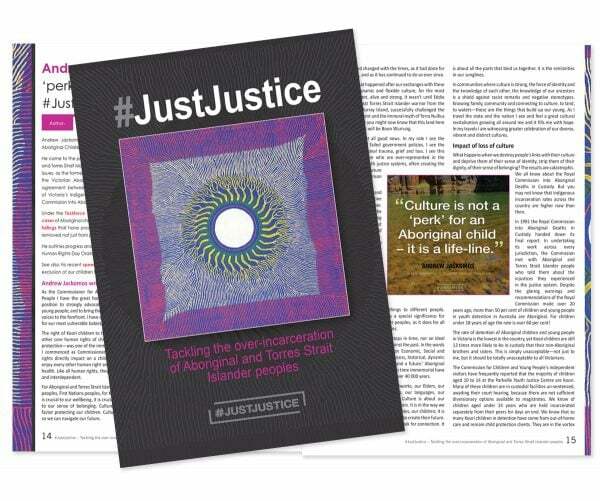 For these Aboriginal and Torres Strait Islander women — the “mothers, daughters, sisters, aunties and grandmothers” who are much over-represented in justice settings across Australia — “it’s one way to be able to access their culture and their agency in a place where they’ve had all rights removed,” Beetson said. 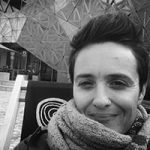 Saunders, a Gunggari woman from south west Queensland, is an emerging researcher and academic who describes her work as using arts-led and poetic enquiry in the field of child protection and family wellbeing. Beetson, a Gubbi Gubbi/Kabi Kabi woman from the Sunshine Coast, is a visual artist and curator, and Director of the Contemporary Indigenous Art Program at Griffith University. 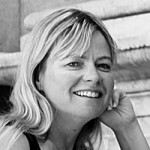 Collaborating with them on the Listening to Country project are two non-Aboriginal researchers: Dr Sarah Woodland, who has worked on arts-based approaches to wellbeing — including soundscape initiatives — at the BWCC for seven years, and Dr Leah Barclay, a sound artist whose work investigates the social and environmental value of acoustic ecology. 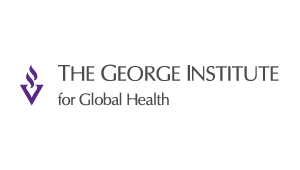 Barclay was unable to attend the forum but said in a video that many disciplines, including environmental science and medicine, were increasingly interested in “how sound truly affects our body and how listening to environmental sound can have a positive impact not just on our bodies but our minds”. 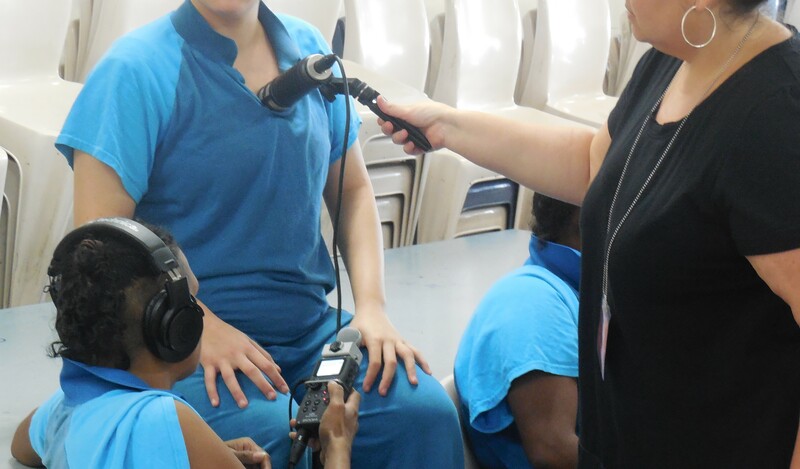 Also critical to the project are Aunty Melita Orcher and Aunty Estelle Sandow from the Brisbane Council of Elders, two respected community leaders with deep connections to women in the prison who helped the team to “navigate some very complicated spaces in that environment”. 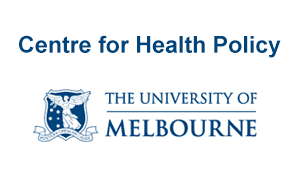 Together, the group conducted 10 workshops at the BWCC, working with 14 inmates who participated on an ad hoc basis – “one of the challenges of working in a remand centre, with people being released and transferred regularly”. The first workshop was a “profound” experience, they said. 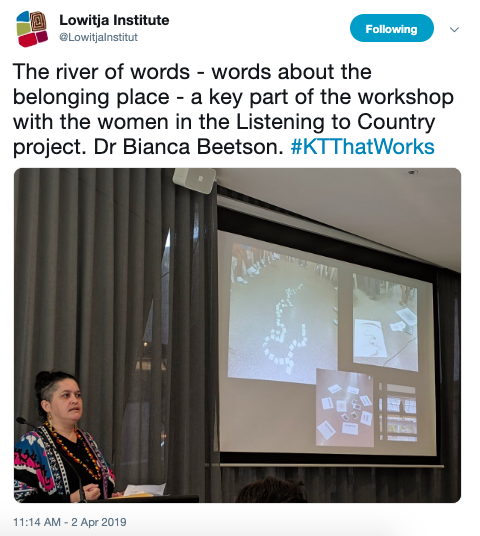 The researchers asked the women to create a visual musical score, recorded on post-it notes, which was based on yarning and thinking about the sounds of country connected to places of belonging for them. It was understood that not all the women would know what country they were from, with many having been separated often from family and community. 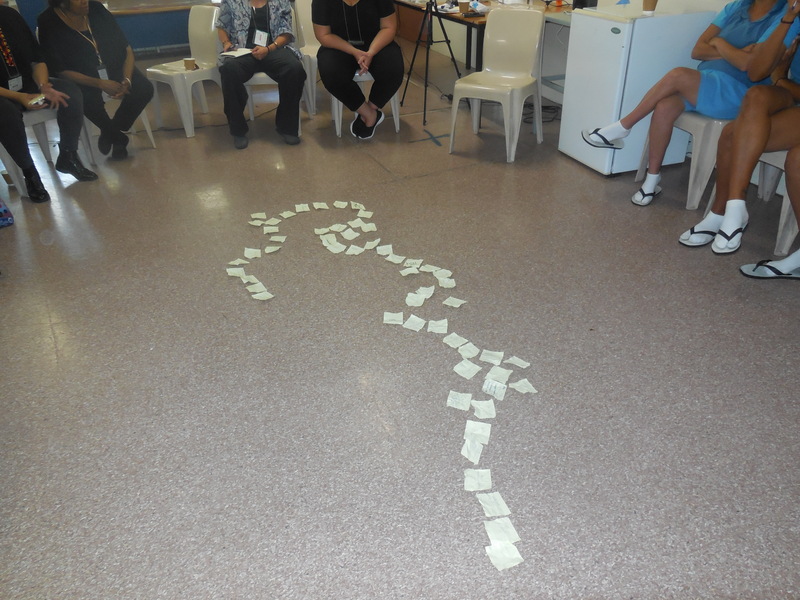 The women were then asked to lay the post-it notes on the ground in whatever order they liked. Magnificently, the researchers said, the notes assumed the shape of the meandering Maiwar, the Brisbane River that flows through the city and near the Corrections Centre. 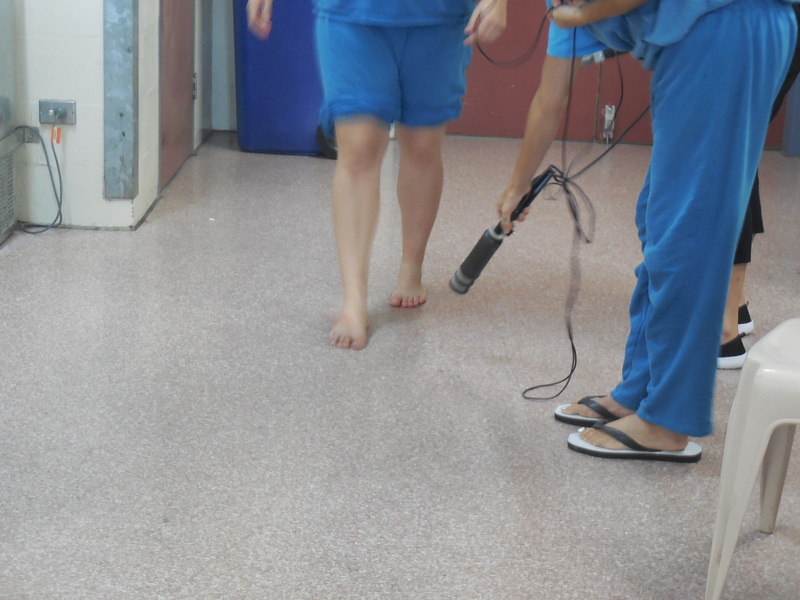 The researchers took recordings of sounds particular to places, culture, and fauna, and filtered through them noises made by the women themselves in prison, with participants listening to and recording each other’s voices, footsteps, breaths, heartbeats and poetry. 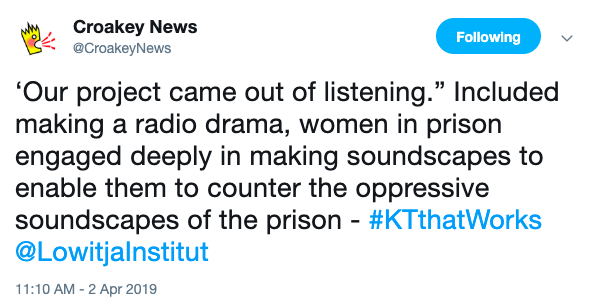 “Hearing the final soundscape on the final day, some of the women said they forgot about being in prison for the moment,” Beetson said. Here’s an excerpt, with thanks to the research team for sharing. Drawing on principles and processes from acoustic ecology and Indigenous storywork, the project emphasises dadirri, a term and concept popularised by Nauiyu Elder Miriam-Rose Ungunmerr “to draw attention to the different ways Aboriginal people listen”, Saunders and Beetson told the forum. “Dadirri means deep active listening that is comfortable with silence,” said Saunders, adding that in her local Gunggari language, the word for listening, Yimbaya, also means respect and “when you’re listening, respect is automatically there”. She told the Lowitja Institute forum that “our talk today is about listening to the country that’s central to our wellbeing, that’s always speaking to us”. Like others showcasing their research at the forum, Saunders said there were many barriers to a project that did not conform to traditional research methods. “What we’re trying to do has a spiritual dimension to it, has a whole other dimension to it,” she said. 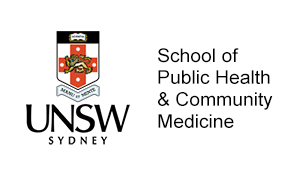 The team hope their project could also serve as a model for other wellbeing contexts, including at-risk young people, Elders and other seniors in care or off-country, women transitioning from prison to the community, and hospitals or schools. 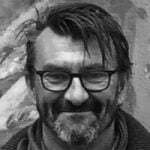 The completed work will be showcased in an immersive audio installation at the Lowitja Institute conference in Darwin in June, and there are plans to share the concept with Indigenous researchers in New Zealand and Canada. 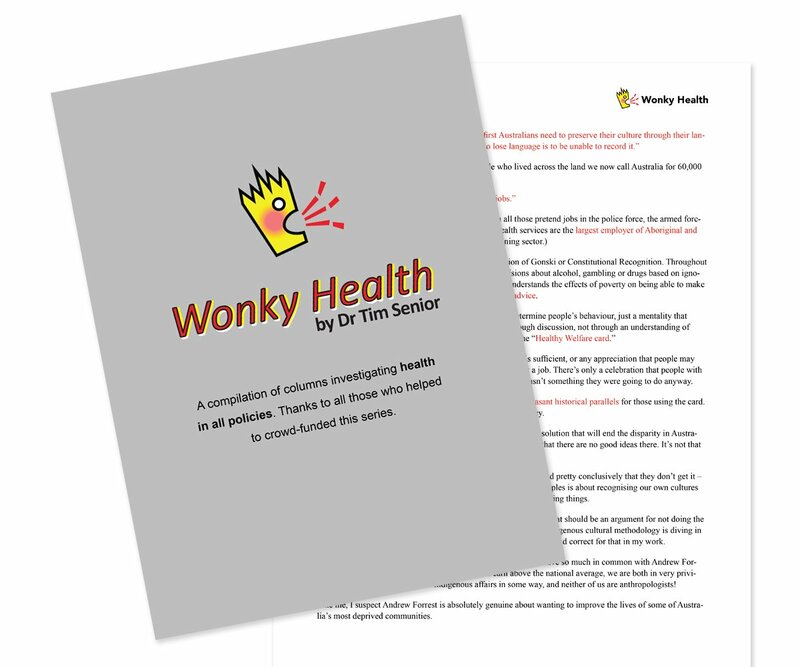 This is the final article in our #KTthatWorks series. 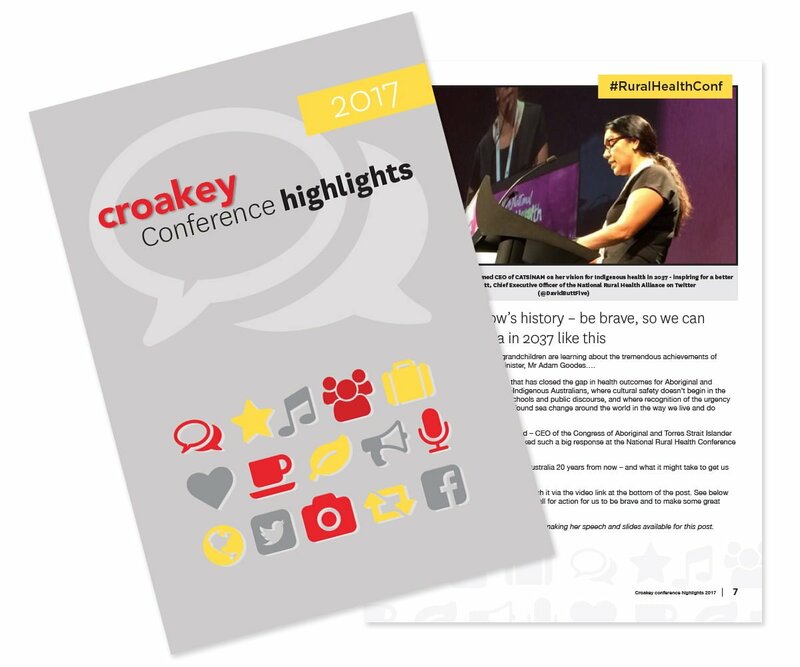 You can read the rest of our Croakey Conference Reporting Service reporting from the Lowitja Institute’s knowledge translation forum here. All our interviews from the forum have been compiled into one playlist. They’ve been viewed a total of 625 times across Periscope and YouTube as of April 15. 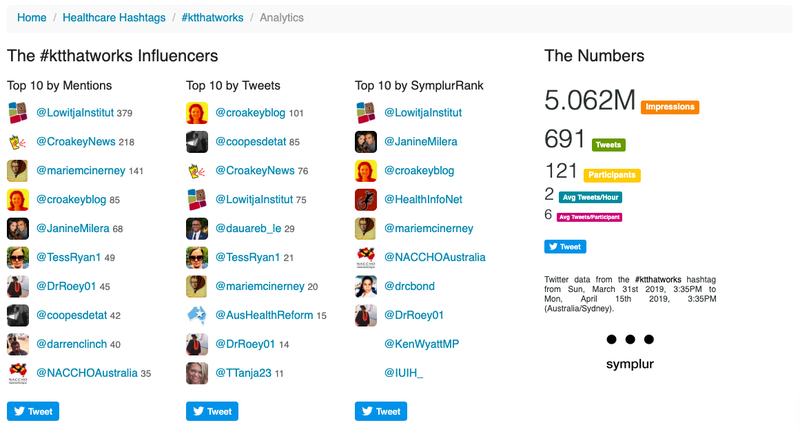 Symplur analtyics for the period of Croakey’s coverage show there were 121 participants on Twitter using the hashtag, sending 691 tweets, and creating just over 5.062 million Twitter impressions. Read the entire Twitter transcript.